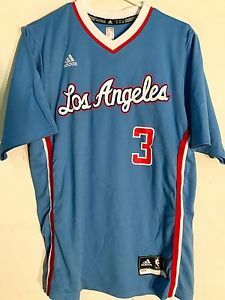 Your NBA fan will look like a star with the Adidas Los Angeles Clippers NBA Jersey. It features a reverse dunk flat-back mesh construction, and it's decorated with screenprinted team graphics and the player name and number. A jock tag and back neck taping are also displayed.